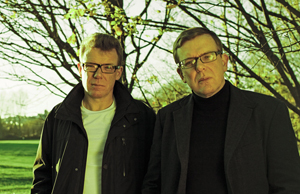 The Proclaimers will be headling the Big Tent on Saturday 21st July. The Proclaimers are one of Scotland's most prolific acts. They are also local lads who will be returning to perform in Fife less than 5 miles from the village of Auchtermuchty where they grew up. The band, who recently completed their 9th studio album which is due for release ahead of their Big Tent appearance will perform on the festival’s main stage in the shadow of the historic ‘A’ listed House of Falkland. "We are really looking forward to headlining at Big Tent Festival in Fife which is held on Falkland Estate and we are delighted to be playing a gig so close to where we grew up in Auchtermuchty." Charlie and Craig Reid. 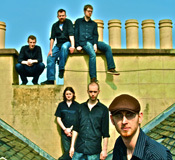 Headlining on Sunday 22nd July are Salsa Celtica. Salsa Celtica are one of the UK's most exciting live acts and mix Scottish and Irish traditional music with red hot salsa to create a unique sound that has topped music charts around the world. 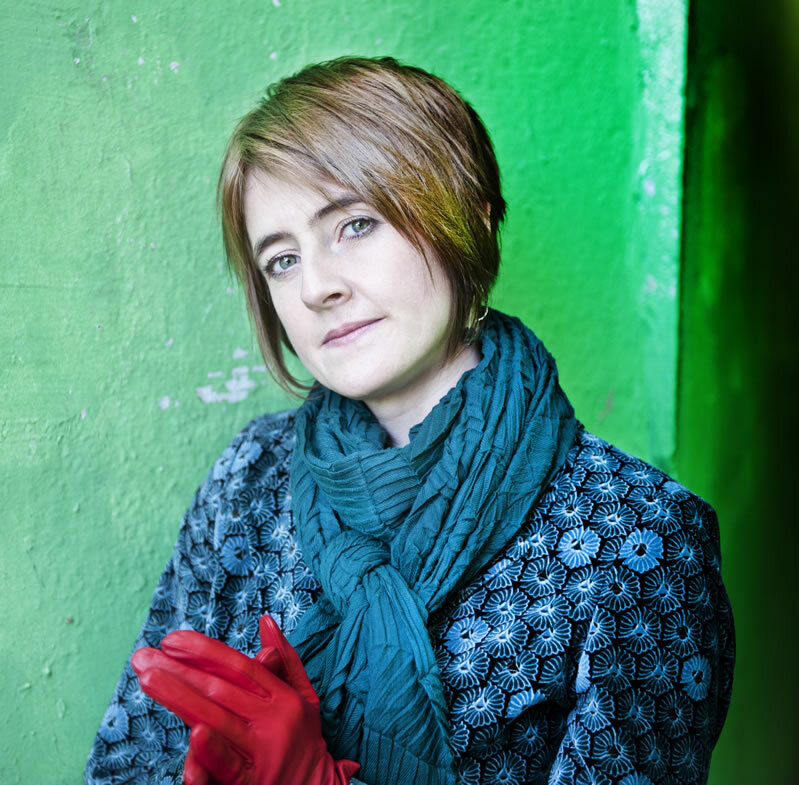 Karine Polwart is one of Scotland’s top female singer songwriters whose debut album Faultlines, won the best album award at the BBC Radio 2 Folk Awards. Since then she has become renowned as an evocative live performer whose roots are set down firmly in the lively folk music scene. "a passionate, perceptive songwriter" Uncut 2008 "exceptionally subtle and melodic" Q 2008 "takes the heart to places few singers even know exist" WORD 2008. Appearing Sunday. Karine will also be taking part in our Meet the Songwriters Session with Mary Ann Kennedy at 4pm on Sunday. On the back of a hugely successful debut album release this month called ORIGINS, Treacherous Orchestra will take a main stage slot bringing their ‘party band’ show to Falkland Estate’s legendary ‘House stage.’ Recent live appearances at Scotland’s leading winter festival Celtic Connections, have proven that this band will be one of the must see acts over the weekend of Big Tent. Appearing Saturday. Breabach are powered by double bagpipes, flute and fiddle and fuelled by the tight groove of double bass, guitar and step-dance. 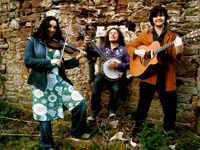 2011 saw the band nominated for ‘Best Group’ at both the 2011 BBC Radio 2 Folk Awards and the Scots Trad Music Awards. Appearing Saturday. Folk connoisseurs the Paul McKenna Band have been described by the New York Times as “The best folk band to have come out of Scotland in the last twenty years”. They combine their love of folk and traditional music as well as original songs and tunes. Appearing Saturday. Edinburgh pianist and singer/songwriter Kim Edgar performs songs from her critically acclaimed albums, The Ornate Lie (2012) and butterflies and broken glass (2008). Scotland’s “very own Tori Amos” (Sunday Herald) combines narratives of courageous honesty with darkly delicious melodies (Spiral Earth), crafting songs which are "a comfort blanket for the disillusioned soul" (BIG Issue). Appearing Sunday. Kim will also be taking part in our Meet the Songwriters Session with Mary Ann Kennedy at 12noon on Sunday. “Jeana Leslie and Siobhan Miller are two talented young singers and musicians who are recognised as shining new stars on the Scottish Music scene. Siobhan scooped the Citty Finlayson Scots Singer of the Year 2011 award at the BBC ALBA Scots Trad Music Awards on the 3rd of December. BBC Radio 2 Young Folk Awards 2008, MG ALBA Scots Trad Music Awards “Up and Coming Artist of the Year” 2008, The Hancock “Horizon” Music Award 2009, Nominated for the BBC Folk Awards “Horizon” 2009”. Appearing Saturday. Winner of the PRS Composer of the Year award at the 2009 MG Alba Scots Music Awards and renowned for her deft and lyrical accordion style, Mairearad is one of Scotland’s finest musical exports. In great demand as a performer and composer, Mairearad can often be seen on stage with Anna Massie, Box Club, The Poozies and The Unusual Suspects and she has also toured with Karine Polwart and Eddi Reader. Sold Out at Celtic Connections last year, Mairearad’s New Voices Commission ‘Passing Places’ was said to be a highlight of the festival. “The third, final, and undoubtedly best of this year’s New Voices series.” ★★★★★ The Scotsman. Appearing Sunday. Alan Reid (ex-Battlefield Band) and Rob Van Sante. Alan is like you actual Scottish Folk Royalty and part of the 60's folk revival in the famous Battlefield Band from its inception in 1969 until 2010. In 2011 he released 'Recollection', an album of his own choice of songs from his career with Battlefield. Appearing Sunday with guitarist Rob Van Sante. “Anderson, McGinty, Webster, Ward & Fisher” may well be a mouthful, but they are a tasty collective. Forged on the banks of the River Tay, comprising of five diverse musicians, ‘AMWWF’ first assembled in August 2011 when they retreated to the Perthshire hills to make music (and a pot of chilli) together. Recording live during the three day session, the band sculpted the results into a 12 track, hour-long and aptly eponymous debut album. Featuring solely original compositions penned by Anderson, McGinty & Webster, the quintet exchange both vocal & instrument duties incessantly throughout. 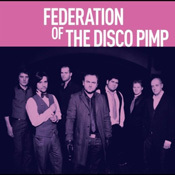 The album is to be distributed digitally and available from the 14th May. Appearing Saturday. AMWWF will also be taking part in our Meet the Songwriters Session with Mary Ann Kennedy at 3pm on Saturday. 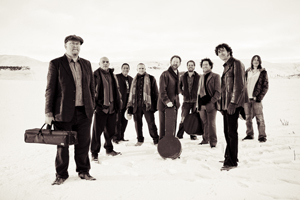 Woodenbox with a Fistful of Fivers appeared at Big Tent 2010 and we are happy to welcome them back. They recently released their new single 'Everyone Has a Price', the first track from their sophomore album and follow-up to the critically acclaimed 'Home and the Wildhunt'. Appearing Sunday. The Whisky River Boat Band originally came together for a musical canoeing odyssey down the Spey River. The trip involved the 5 piece acoustic band canoeing 65 miles down the Spey (the fastest flowing river in Scotland) stopping every now and again to play a gig, drink whisky, maybe eat some food and possibly sleep. Amazingly the band survived as did most of the instruments, the gigs were great and the craic was mighty. The band has a unique country and bluegrass acoustic sound that is able to bring a tear to the eye as well as feet to the dance floor. 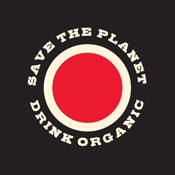 For their latest adventure The Whisky River Boat Band are travelling from Edinburgh to the Big Tent Festival in Falkland,Fife, without the help of a combustion engine. A firm favourite of Big Tent, the Homecoming String Band will be appearing at Big Tent on Saturday, mixing Appalachian and Bluegrass tunes with Celtic Roots music. family, an individual, old or young or even a teenager the Barrow band will make you laugh, cry (if it's the onion song) and then laugh again. Making Fruit and Vegetables Cool. Malcolm Le Maistre of the Barrowband was in the Incredible String Band. Appearing both days. “Man’s Ruin show a musical maturity that pulls them ahead of the average Glasgow band and , similarly, they outpace the parochial limitations of so many of the folk musicians of dear old Scotland. It’s like somebody finally sneaked some decent drugs into that ceilidh you always seem to get trapped in when you hang about with the better class of people.” Bluesbunny Music Reviews Appearing Saturday. “Their music has been described as folk-rock, Celtic, psychedelic and trance which, in the words of some promoters, has been translated as fusion/folk/dance – and it was the fusion of all these genres that certainly entranced the jigging crowd. The rousing appreciation from the audience confirmed my instincts – the surrounding, tangible energy has stayed with me and I’m already wanting more.” Classic Rock Society. Appearing Saturday. And now for something different....Playing a variety of authentic Bavarian music - polkas, watlzes, marches - is Kolonel Schnapps/Bierfest Oompah Band. There is audience participation that includes Prosit (German toasts), conducting competitions, can can, hokey kokey etc. It’s good ‘thigh slapping’ and ‘foot stomping’ fun. With jovial compare interacts with the audience to ensure that there is something to keep everyone amused! Appearing Saturday. "dynamic, danceable, and dastardly catchy" - Sunday Mail **** "There's Jazz, there's funk, and then there's The Mike Kearney Ka-tet!" James Corden. Appearing Sunday. 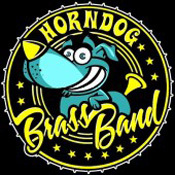 The Horndog Brass Band - 8 man drum'n' brass street funk. An explosive mix of toe-tapping New Orleans grooves, blazing musicianship and all out good vibes. Infectious original tunes with some old favourites. Set to ignite the dance floor. “Excellent, and very loud!” – Tilda Swinton. Appearing Sunday. “Goldie's name will be familiar to guitar fans as he is regarded as one of the finest finger stylists in the world. Acoustic guitarist extraordinaire Goldie crosses more borders than a BBC foreign correspondent. Confident, assertively performed and startlingly different – tango, gypsy, funk, classical, American folk and jazz are all thrown into a must listen.” Scotsman. Appearing Saturday. Rooted, yet futuristic, SoulRoots is a home for Deep Disco, Real House and Electronic Sonics. Already well-established as a bi-monthly party in the backroom of Dunfermline’s oldest pub, it has no fixed abode as such. However, with resident DJ Colin Cook, it has already gained a reputation as a space for great music, a friendly welcome and a busy dancefloor. Guests have included local DJs of note like Mikey Inglis (RealFaze) and Glasgow-based Colin Walker. However, it is an ethos of open-mindedness, a passion for sound and the love of putting parties on in unexpected locations that makes SoulRoots tick. fuse together the musical stylings of two established singer-songwriters. Both have an abundance of experience in a variety of areas of music from organising one of Fife's most successful music nights to recording in Hollywood with highest calibre of session musicians. Appearing Saturday. 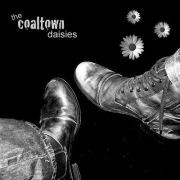 The Coaltown Daisies will also be taking part in our Meet the Songwriters Session with Mary Ann Kennedy at 12 noon on Saturday. since winning the PRS New Music Award the band have played hundreds of concerts from Auld Reekie to New York. "Blend folk, rock, latin, punk, reggae, shake them around a bit and take yourself off to a distant place and you've found their sound. And what a sound it is- they really are making some great music. " Music News. Appearing Saturday. is a young Scottish composer and singer/songwriter. Finn has composed for film, dance, animation and also performs as a solo artist. He also writes music, book & lyrics for musical theatre. "Will no doubt be a springboard to stardom for some of the cast - not least Finn... This will be one of those shows you wished you'd gone to" David J Ford, Musician. Appearing Saturday. “Having been associated with Jazz in Scotland for nearly ten years at the Major Jazz Festivals including The Edinburgh International Festival, Nairn Jazz Festival, Islay Festival, Lockerbie, Glasgow, Fife and Dundee Festivals, I flatter myself that I know a great sound and a great group when I hear them! And Havana Swing certainly deserve that description. Five guys playing music they love and enjoy (and communicating that to their audiences) rock (if you’ll pardon the expression) any venue where they appear!” George Duncan, Jazz In Scotland. Appearing Sunday. Loud and lively, energetic and dynamic! The Edinburgh Samba Band is a colourful Samba percussion and dance group, specialising in authentic rhythms from the flamboyant Carnival culture of Brazil. Samba is the heartbeat of this culture of celebration, street parties, dance and fun.Appearing Saturday. For a number of years there has been a tradition where every Wednesday evening a very talented group of musicians gather for a jam session in the Stag Inn within the village of Falkand. The sessions are completely open and anyone with the passion and an instrument can join in. In 2012 we thought it was about time that we shared their incredible sounds with the rest of the world. Appearing Sunday at 5.45pm in the Shindig. The Cèilidh Trail allows young people from across the highlands the opportunity to perform in public, enhancing their performance skills through a sustained period where they are treated as professional musicians. Local communities, businesses and visitors also benefit from additional opportunities to experience and enjoy live traditional music. Rich Davies & the Devil's Union (solo acoustic) is the solo project of the award winning, Scottish-born, singer-songwriter Rich Davies. After gaining a certain notoriety in Edinburgh and surrounds, Rich discovered his niche in Melbourne's music scene. Originally a completely acoustic sound, as the musical tone became more focused, Rich began to gather around him an all-star cast of musicians from north of the river to fulfil his vision of the Devil's Union. The band now features Lauren Taffe (The Papernecks) on piano, Ross Perry on drums, John Guscott (The Velocettes) on bass and Alex Hunter (Whitley and the Reservations) on pedal steel with occasional appearances by Jane Hendry (Tiger and Me, the Nymphs) on violin. Rich Davies & The Devils Union released their debut album to critical acclaim in November 2011. Rich Davies will play a session in the Shindig on Saturday 21st at 5.15pm. Rich will also be taking part in our Meet the Songwriters Session with Mary Ann Kennedy at 12 noon on Saturday. Kite and the Crane will play a wee session in the Shindig on Sunday 22 July at 4.30pm. 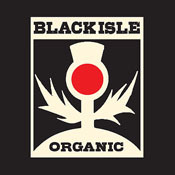 Formed in Edinburgh, late 2011. Singer-songwriter Hannah Kitchen sings songs about beauty in ordinary life, with Nicki Dunne on percussion and Emilia Hanna on backing vocals. Beautifully crafted indie-folk delivered with 'inimitable charm' (xfm Manchester). The extremely talented performer/writer/storyteller/stand-up and entertainer of small people Sian Bevan http://www.sianyb.com/ will be the Wee Shindig compere with her juggling/Acrobat partner Johnathan Elders. “Confident and funny” “Self deprecating observations on her own life and a likeable delivery which made it easy for the audience to warm to her she built to a brilliant crescendo and had the crowd eating out of her hand.” (Edinburgh Evening News). Glaswegian comic Bruce Morton will be our Saturday main stage host. Bruce came onto the comedy scene in 1988, winning the first ever So You Think You're Funny? new act competition at the Edinburgh Fringe. He was also one of the founders of the Funny Farm Comedy Collective in 1989, which helped start the stand-up scene in Scotland. In 1992, he was nominated for the Perrier award for his show Sun and the following year landed his own four-part Channel 4 series, of the same name, each episode comprising a stand-up routine loosely themed around one of the deadly sins. Morton returned to Channel 4 in 1995 as part of the broadcaster’s themed Pot Night, when he explored Amsterdam's cannabis cafés for the documentary Amsterdam By Night. He is turned playwright in 1998’ with Blood Below the Window, which he also performed at the Traverse Theatre, Edinburgh; and in 2001 he co-wrote the musical comedy Wake Me Up In The Year 2001 for the Pavilion Theatre, Glasgow. Morton is also a regular radio voice, and in 2006 presented a series of interviews with fellow stand-ups on Radio Scotland, called Comic To Comic. The legend and totally barking Susan Morrison will compere our Sunday evening main stage concertSusan was a frequent contributor to BBC Radio Scotland. In addition to regular appearances on the "The Fred MacAulay Show", she has recently presented radio documentaries on subjects as diverse as the history of toilets (“On The Throne”) and the positive effects of laughter (“Laughter - the Best Medicine”). This lead to a permanent seat at the breakfast table. Until recently Susan co-presented The Morning Show on Edinburgh talk radio station Talk 107 each weekday. She is a regular host of the world famous Stand Comedy Club and is also a Director of previously…Scotland's History Festival.